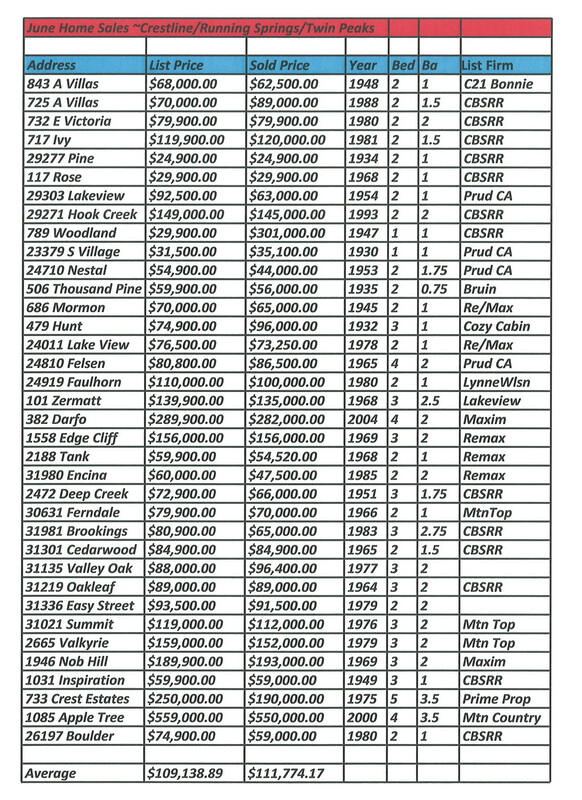 Crestline, Twin Peaks, Running Springs, Arrowhead Villas and Deer Lodge Park Home sales for June 2012 were cranking along. If you are thinking of buying a home for a huge value these are the areas you want to focus on. Great deals to be had in all of these areas. All information obtained from Rim o’the World Association of Realtors. Information is deemed reliable but not guaranteed. If you would like additional information on these or any other homes please give my team a call.